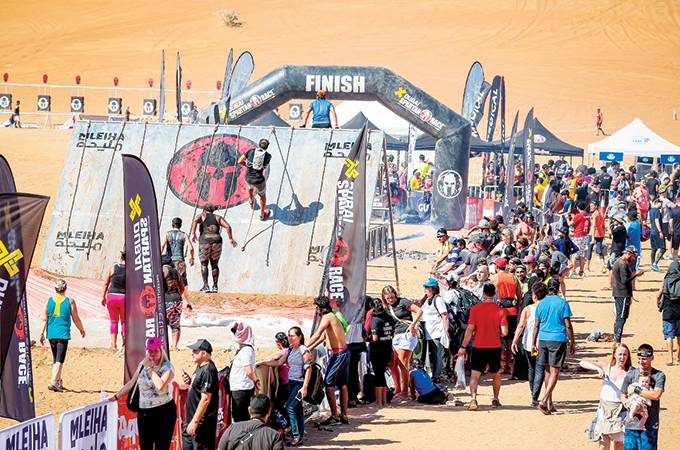 Spartan Middle East and Africa Championship, the regional version of the US originated series of obstacle races, has announced that it will return to Mleiha, Sharjah, next month with newly introduced age group categories and a competitive kids heat. The Championship to be held on Friday, February 15, 2019, will see more than 4,500 attendees with an estimated 2,500 racers from the region who will compete in three race types and six race categories, in the historic tourism destination of Sharjah. Organised in partnership with the Sharjah Investment and Development Authority (Shurooq), and the Mleiha Archaeological and Eco-tourism project, the new edition will open gates to multinational athletes at the venue in Mleiha Archaeological Centre. Qualifiers for the Championship Elite Beast and Championship Age Group Beast will be the racers who have completed the qualifying races including the Spartan Kuwait race (January 2018); the Spartan Bahrain race (February 2018); the Spartan Women’s race (October 2018), the Spartan Hatta race (November 2018), the Spartan Oman Trifecta Weekend race (December 2018) and the Spartan Station race which will be taking place in Bahrain this Friday, January 18, 2019. Also debuting this year, will be ten age categories instead of six last year, raising the volume of athletes and elevating the chances for participants to make the cut to the top 3 finalists across all race types and categories. The Spartan Sprint features a track of approximately 5 kms and more than 20 obstacles, while the Spartan Kids, which features two race categories: Competitive Heat for kids between the ages of 10 to 13 years old and Spartan Kids, which is broken down into three age brackets of 4 to 6 years racing 800 m, 7 to 9 years taking on 1.6 kms and 10 to 14 year olds conquering 3.2 km of obstacles safely and carefully designed to allow young participants the entertainment and joy of being active and put their own little strengths to test.